There's a lot going on here on the Golden Spoons today!!! 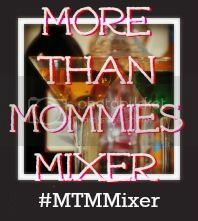 First of all, I am Mixologist for the More Than Mommies Mixer! This is a great opporunity to connect with others by linking up your blog, your Facebook, your Twitter, and your Google+ profile, and your Pinterest! Janene and Christine have also issued a vlog challenge! I haven't worked up the nerve to do a vlog yet, but if you participated it the TMI vlog challenge, linkup your post below! I am also participating in the Finish The Sentence Friday Linkup today! To check out that post, just click here. Now, Let's Party!! On with the Mixer. . . . .
We will choose someone who signs up via Twitter on the Linky below to be our LOTP each week. We love to keep up with all of you on twitter--so tweet with our hashtag (#MTMmixer) so we can find you! Every week we will choose one participant to get our party started at the #4 slot. 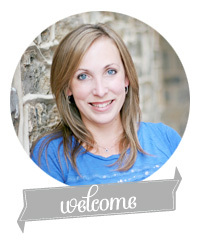 All you have to do is link up under the first Linky (and follow the "rules") to be considered! Add your Post/Twitter ID/Blog URL to the Linky it belongs in. Follow the person directly BEFORE you on the hop! Finally, we ask that you post one (or both) of our buttons in either a post or on your sidebar to let other people know where you are partying today!